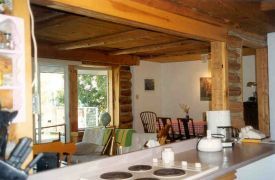 Modernized log cabin. 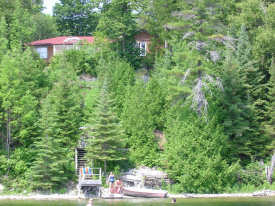 Treed area, cottages on lake side only of dead-end road. Hill to lake with a series of wood platforms and 70 stairs to water. 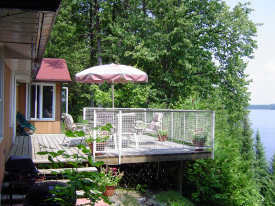 Fantastic view 16x16 deck off cottage. Green lawn at front. Lot 125x175. Quiet family area. Good fishing. Good area for hiking. Two hour drive from Yonge/401 in Toronto.